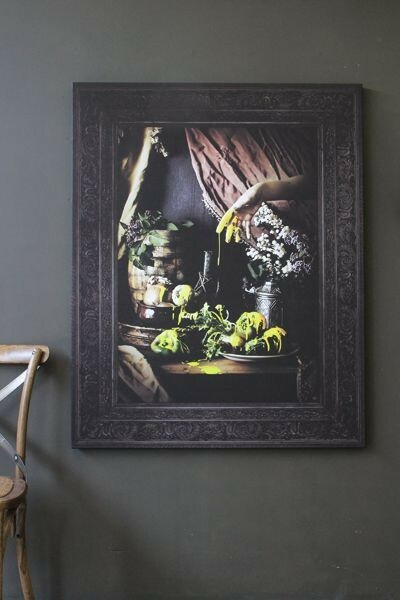 'Still Life' is part of the renaissance collection and features an extra large ornate frame printed onto canvas. This beautiful print, reminiscent of classic Dutch masters paintings, combines modern with the traditional. 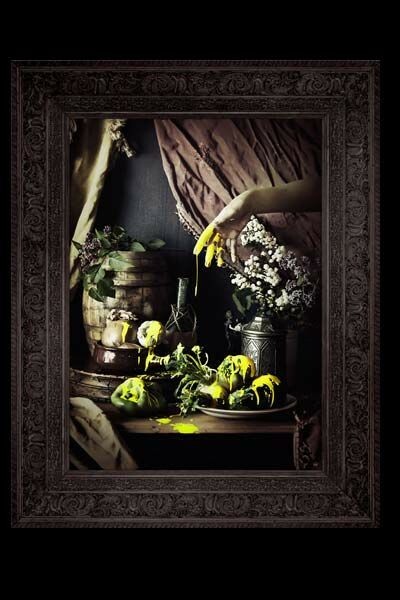 The painting combines the traditional images of still life, but with a splash of bright yellow . We see a ladies hand elegantly dripping yellow paint over the vegetable bowls. 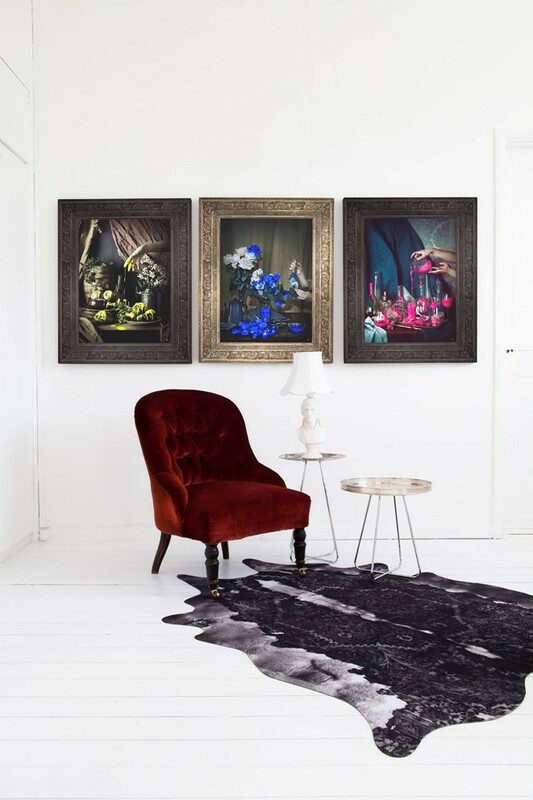 A collaboration between Young & Battaglia and digital artist Himitsuhana, this stunning image is printed onto the finest quality canvas. Standard delivery lead time for this item is 2-3 weeks.